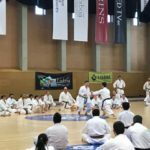 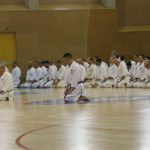 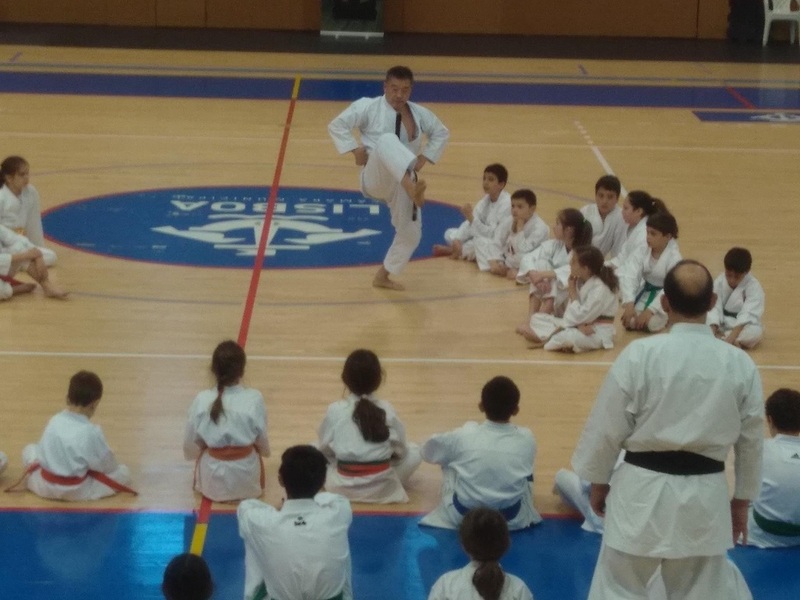 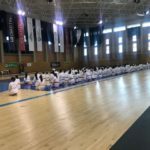 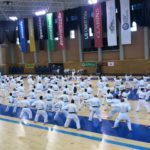 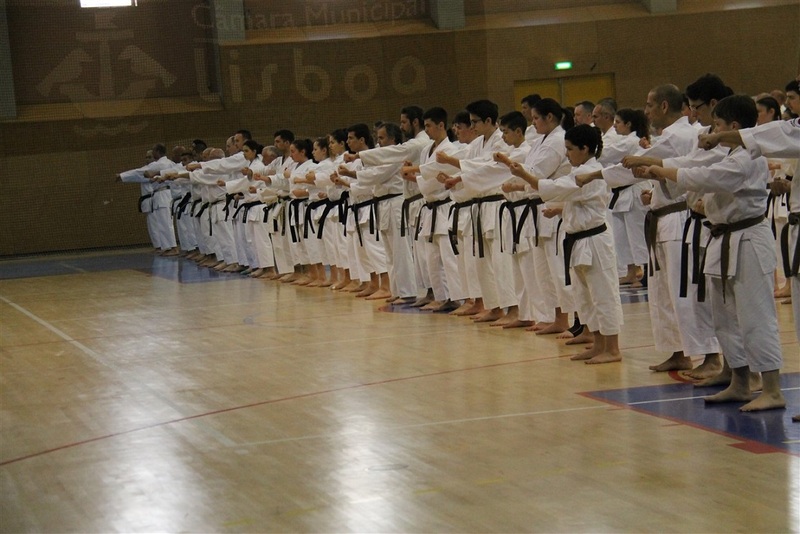 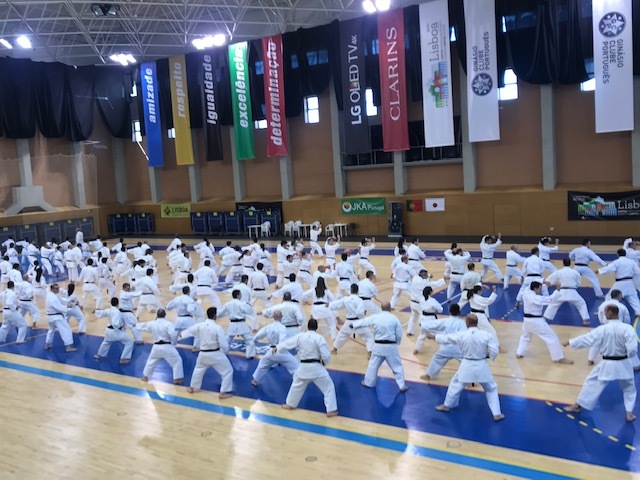 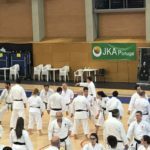 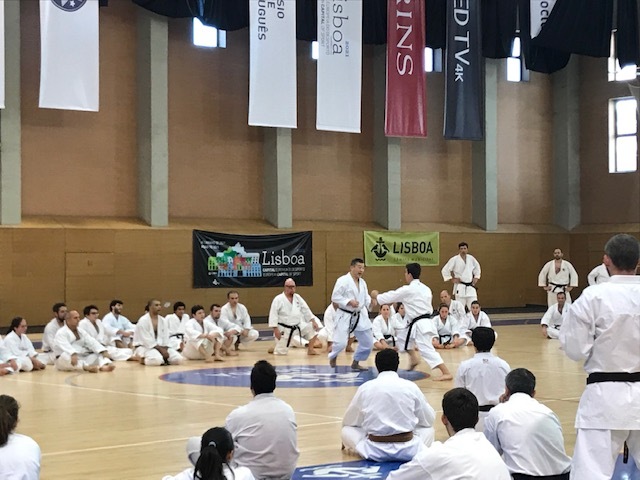 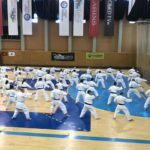 The JKA-Portugal Spring Training took place in Lisbon on 15, 16 and 17 March 2019 and Yoshinobu Ohta Sensei, head of JKA-England, was invited as a special guest. 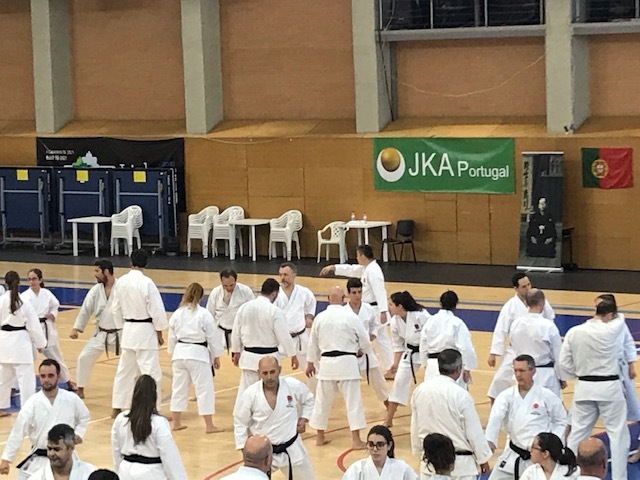 Like other trainings held in spring and autumn, day one was dedicated to the Instructors’ training which was held at JKA-Portugal Honbu Dojo, followed by two days of training, also in Lisbon, with the presence of José Pacheco Sensei, António Pula Sensei and JKA-Portugal’s instructors, who developed all the training in a dynamic and adapted way to the various age groups and graduations. 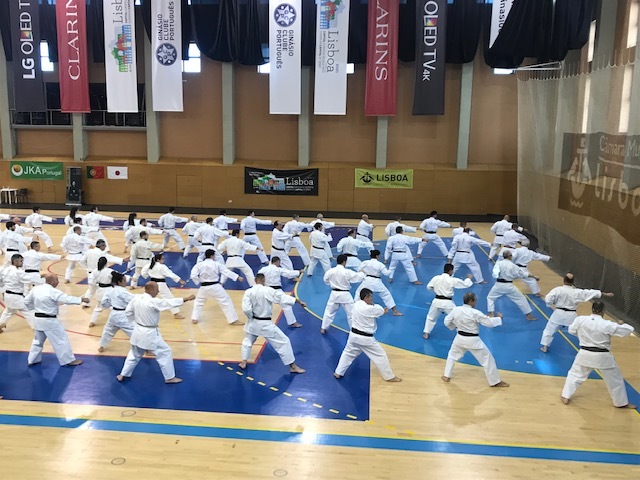 There were 270 practitioners and instructors, from 6 to 80 years old, coming from various areas of the country, including the Azores Archipelago. 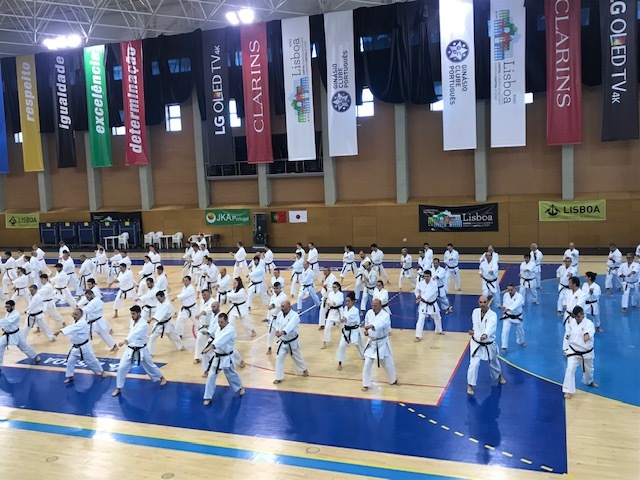 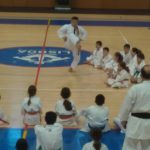 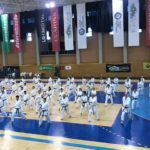 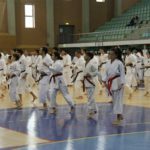 During the training a Katas tournament was held, with the participation of more than 20 referees and about 100 children, from 6 to 15 years old, which was done as a way to motivate the practitioners to participate actively in all trainings throughout the season. 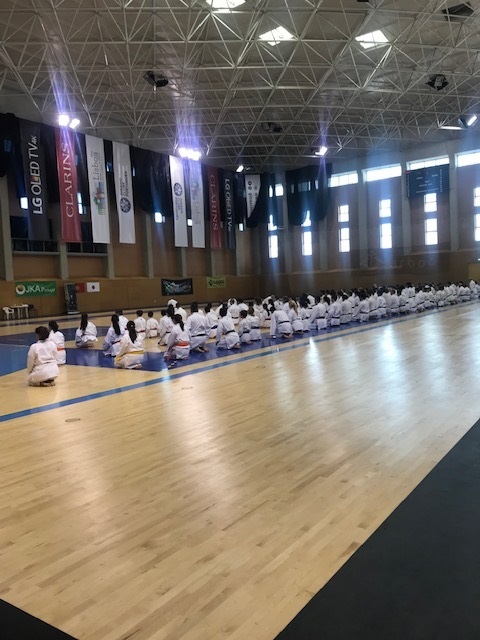 Ohta Sensei demonstrated the application of various techniques in the disciplines of Kihon, Kumite, Kata and Bunkai, in a simple but effective way. 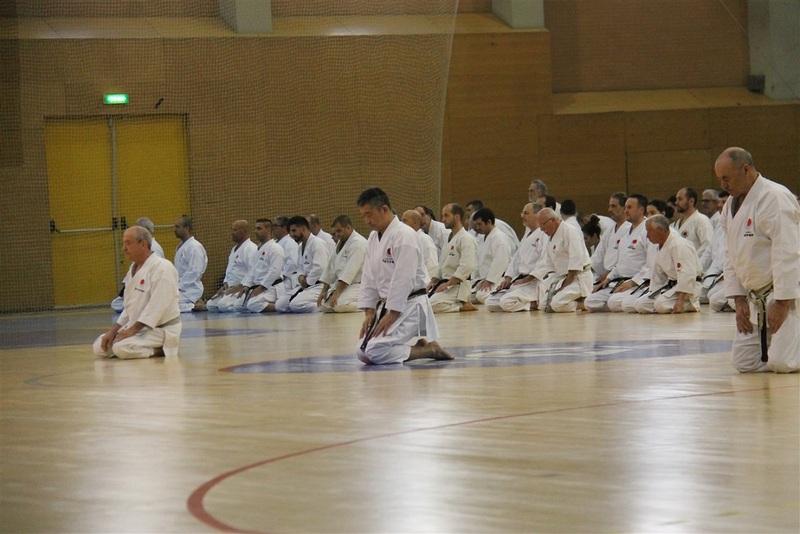 The Katas practiced were Heian Sandan, Bassai Dai, Kanku Dai, Jitte and Chinte. 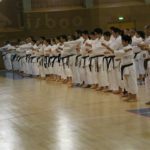 Ohta Sensei explained Kata Chinte to Dan’s graduates, Pacheco Sensei explained the fundamentals of Kata and Pula Sensei explained Kata Jitte to practitioners of brown belt graduation. 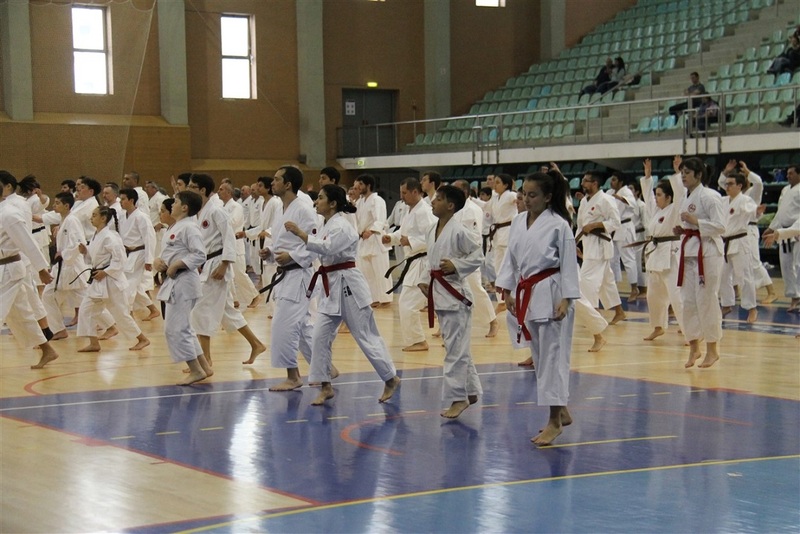 During the training there were also several demonstrations of Kata in team and group.